Products You Can Believe in. Every skin type and condition, we’ve got you covered. 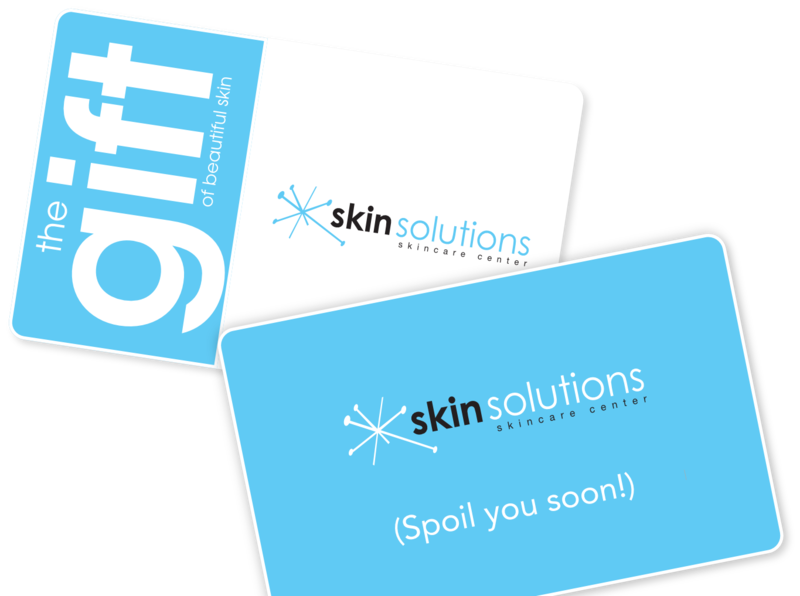 Show someone how much you care with a gift certificate from Skin Solutions. 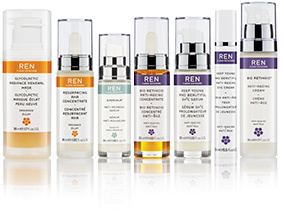 Effective, results-oriented skincare that’s free of all the “nasties*!” REN Clean Skincare gives you healthier, more beautiful skin that looks younger for longer. I’m proud to say that this is the line that Skin Solutions was built on. 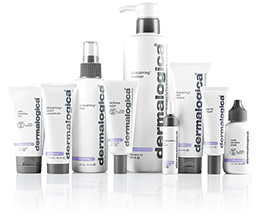 Dermalogica is an industry leader, not only in manufacturing incredible skincare products, but also in providing unrivaled education to skincare professionals. The International Dermal Institute has been pushing the industry forward since 1986 and continues to set the standard for Estheticians both inside and outside the treatment room. This clinically substantiated skin care line is comprised of exceptional, long-term results-oriented anti-aging and optimizing skincare formulations. 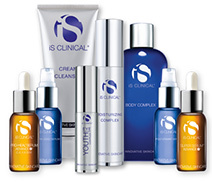 They are known best for their stabilized vitamin C serums and their cancer care protocols. Unique facial experience… Intimate spa setting… The ultimate in relaxation. These are just a few things that our clients are saying about their experiences here. 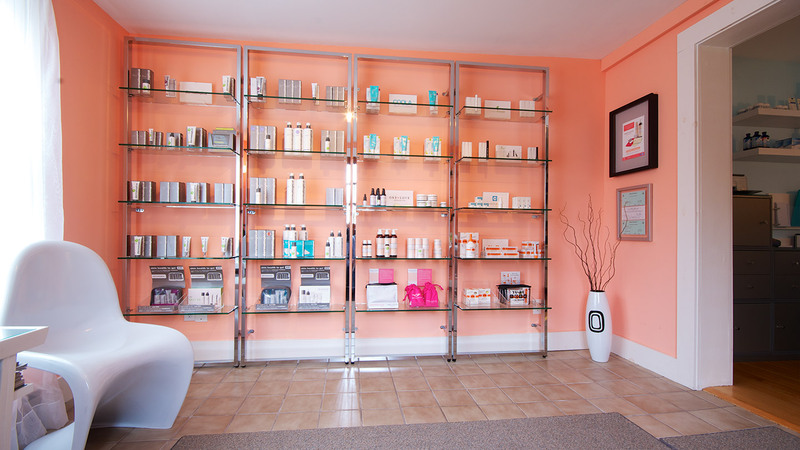 Skin Solutions offers a soothing atmosphere where you can retreat from the world and escape into complete serenity. Our attention to detail ensures that you get the most out of every experience. Our mission is more than just providing phenomenal skin care. At Skin Solutions, we nurture our relationship with each and every client. We look out for their personal well being and help them achieve their personal goals. Our goal is to help you achieve the skin you’ve always dreamed of. How do we do it? It’s simple. We offer an unbeatable combination of advanced products and services backed by the International Dermal Institute. So, slide into your slippers and slip away into what it is you deserve, your greatest skin. Your skin will love it and so will you! Skin Solutions is built around the premise that there is no need to be aggressive with your skin to achieve fabulous results. All of the treatments offered are non-invasive, so there is zero down time. We promise you will always leave looking better than you did when you arrived! Skin Solutions has been helping clients maximize their skin’s potential since 2005 and is owned and operated by esthetician Shelly Dutil. Shelly received her post graduate diploma from the world renowned International Dermal Institute in Aug. of 2006 and was the very first Esthetician in the State of Vermont to continue her education and receive these honors. She continues to keep abreast of all that is new, the latest trends and emerging techniques through attending continuing education classes, skin conferences, and through extensive research & experience. Having had acne herself Shelly has developed a strong following for her ability to treat and clear blemish prone skin through both topicals and dietary adjustments. Additionally, Shelly is highly successful in treating pigmentation issues, aging skin, rosacea and sensitive skin. Each facial treatment is customized to fit your skin's needs during your treatment. These treatments options are here to show you what we are capable of at Skin Solutions. This intensive clinical facial is designed to safely and rapidly resurface the skin, reduce fine lines and wrinkles, smoothing and softening and encouraging cellular renewal. The centerpiece of this remarkable treatment is the combination of two nutrient rich, therapeutic masques. Awakening your senses, this phenomenal system incorporates both active and soothing formulas, which evoke aromas of warm cinnamon spice and brisk cool peppermint (includes a professional peel). Concerned about the signs of aging on your skin? Then this treatment is for you! Give your skin a revitalizing boost. This treatment is designed to help firm, smooth, nourish, regenerate and energize while controlling the biochemical triggers that lead to skin aging. This powerful treatment is customized for clients concerned with premature aging, the signs of photo-aging and sun damaged skin. 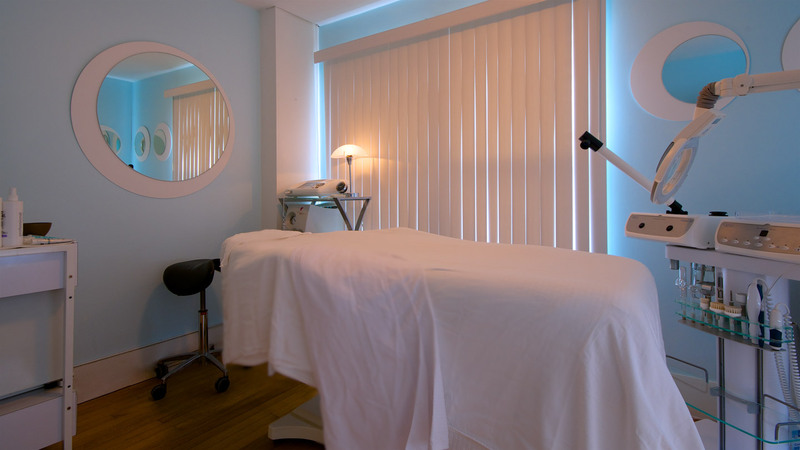 We'll start your treatment with a deep cleansing, followed by a smoothing exfoliation and extractions. This treatment takes factors such as shaving habits into account to help prevent ingrown hairs and other skin problems unique to men. We'll also help release tension with a hand, foot or shoulder massage while your skin re-hydrates with a customized treatment masque. Help stop your uneven pigmentation at its cause. This treatment actually regulates pigment production on a cellular level, helping to balance your complexion. Combining regular professional visits with a scrupulous home regimen, including sun protection, will provide phenomenal results. (Ask for details on treatment series). If your skin is looking red, inflamed or feeling itchy, then this is the treatment for you! Our super-soothing cleanse will remove impurities from your skin, followed by a calming oatmeal mask that will instantly reduce redness and inflammation. Even the most sensitive skins will benefit tremendously from this incredibly soothing, skin protecting treatment (Great for eczema, acne and rosacea skins). Blackheads got you down? This treatment offers a deep pore cleanse. We spend more time on extractions, which are followed by the relaxing, vibrating sensation of the Clarisonic Pro Brush. Then the treatment is completed with ultrasonic waves that pulverize debris from the pores, giving you a deep refreshing cleanse. It’s the end of the line for adult acne! Our medicated clearing treatment will focus on purifying your skin with a deep cleansing, followed by extractions. This treatment is the ultimate in acne management. It targets current blemishes while regulating oil production, killing bacteria, calming inflammation and exfoliating clogging debris as it helps to prevent future breakout activity (Compliment this treatment with a Blue LED Light Therapy treatment for only $15 more). Tired of those blemishes or pigmentation on your back? Get ready for that special occasion with this incredible treatment. Our back treatment includes extractions, an enzyme peel followed by a medicated treatment masque and finishes with a light moisturizer. As an add on to a 60 minute facial treatment this is $45. Non-invasive, zero downtime exfoliation. 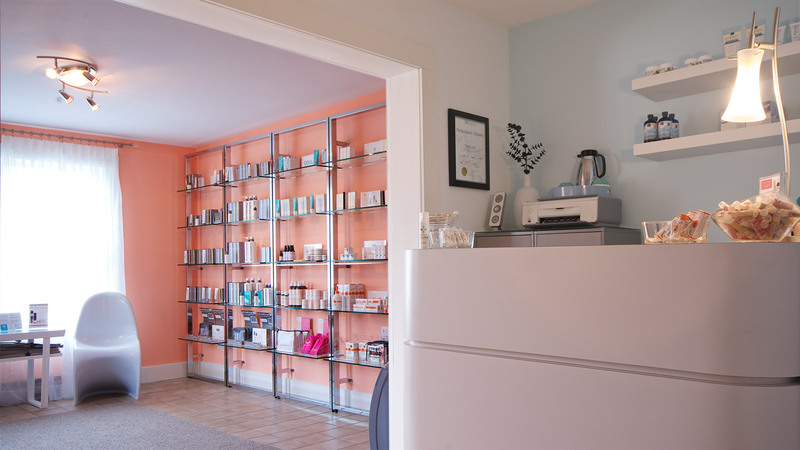 We offer: enzyme, lactic, glycolic, salicylic, pumpkin, and Vitamin A peels. Your skin therapist will help you choose the peel that is best suited to your skin’s needs. Ask which peel is right for you. (Peels will include a treatment masque to rebalance and nourish the skin). Add this treatment to any 1 hours facial treatment for $45. This anti-inflammatory treatment creates an oxygen environment which kills the bacteria that causes acne. Treatment includes retinol and an enzyme peel to improve results (For best results, use as an add-on with regular acne treatments or as a series: 2 per week for 2 weeks, then 1 per week for 4 weeks). As an add on treatment this is $40 for 30 minutes. A non-invasive, but effective use of advanced, FDA approved, red light technology designed to help diminish the visible appearance of fine lines, wrinkles, and age spots by promoting collagen firmness. Your skin will appear smoother, tighter and more radiant, showing continued gradual improvements with each subsequent application (a minimum of 6 is recommended). As an add on treatment this is $40. Fine lines and wrinkles have finally met their match! This progressive, non-invasive treatment rejuvenates the skin by removing the dull, lifeless, sun-damaged skin cells and stimulating the production of new skin cells and collagen. Regain your youthful appearance by minimizing fine lines, wrinkles, shallow acne scars and even stretch marks while evening out skin texture and tone. 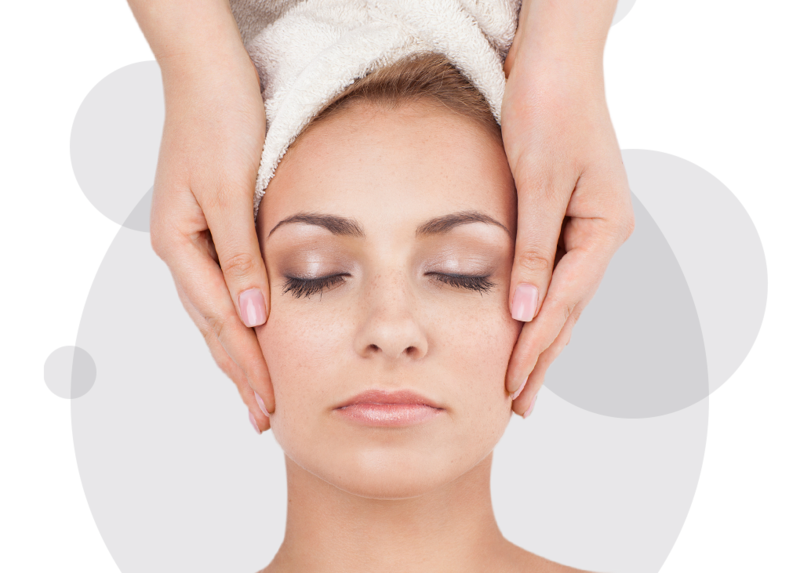 This full service treatment includes an enzyme peel and a customized treatment masque to further enhance your results. As an add on service to a standard one hour facial this is $55. This treatment utilizes a low level of electricity that mirrors the body’s natural electrical currents. This enhances the production of natural collagen and elastin, provides circulatory benefits, and assists in product penetration. It will smooth and re-hydrate the skin. The result is immediate firming, through muscle re-education, greatly reducing the appearance of fine lines and wrinkles (see website for more information on treatment series). Tones the muscles in the eye area and the forehead to lift the brow. Spectacular for under-eye puffiness or dark circles. Add this treatment to any 1 hours facial treatment for $40. We enhance your brow's natural shape with special attention to detail. You'll be amazed at how much of a difference well groomed brows really make! Give someone a gift that they will never forget! Our eGift certificates will be emailed directly to the recipient. You can choose to send it immediately or at a future date and they can be redeemed for skincare treatments or for products. a heavenly experience, so relaxing! Skin Solutions is amazing! Shelly’s facials are a heavenly experience, so relaxing! A friend gave me a gift certificate for a facial for my wedding day and I have been going ever since. Shelly is extremely knowledgeable about all aspects of skin care and nutrition. I highly recommend her! I was very pleased with the facial and the products. I felt like my face had a more even tone and fuller look. I hope to get regular facials if you have time in your schedule… I was really pleased that your facial rivals Darphin (the products used in Istanbul at the Swiss Hotel) and the facials I got in England with the Dermalogica products! Shelly and Skin Solutions came into my life about 2 years ago and it is one of the best decisions of my life. From the moment I met Shelly, I knew she truly cared about my skin concerns, and wanted to help me. My biggest concern at that time was my pigmentation, and after a few brightening treatments my complexion looked amazing. She has helped me better understand my skin and how to truly take care of it. Since than, my skin has improved tremendously and it’s all because of her education and her products. Her Microcurrent treatment has improved my skin tone and texture so much! I just can’t rave enough about what her treatments and products have done for my skin, as well as my self-confidence. Each appointment is such a special, amazing experience and I walk away feeling more beautiful, inside and out. Over the past five years, I have received microdermabrasion and light therapy services from various cosmetic dermatology centers in Chittenden county. 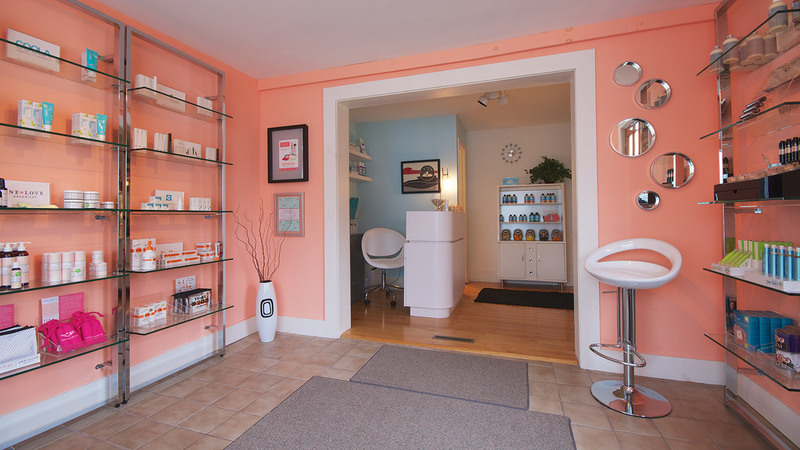 In August of 2007, after feeling disenchanted with my regular spa, I decided to visit Skin Solutions in Essex Junction. From the moment I met Shelly, she made me feel welcome and comfortable. Since then I have received monthly microdermabrasion, light therapy, and microcurrent treatments from Skin Solutions. As a direct result of Shelly’s services, my complexion is significantly improved with better muscle tone, even color, and reduced acne. I look years younger and have a much fresher look. Shelly is extremely knowledgeable, has very gentle hands, and never makes me feel rushed. I am always completely satisfied with her services and leave SkinSolutions feeling that I received more than my money’s worth. In my opinion, she’s the best in the business! I have seen immediate and lasting improvements with Skin Solutions treatments. Shelly’s philosophy of using safe and highly effective skin products and techniques without harsh or harmful chemicals is important to me, and her knowledge and expertise are impressive. A facial at Skin Solutions is not only a relaxing experience–it is a contribution to our well-being and an investment in the long-term health of our skin. I highly recommend Skin Solutions. I just wanted to tell you that this was the best treatment experience I have EVER had at any spa. I really appreciated your willingness to go over your time to accommodate my needs. 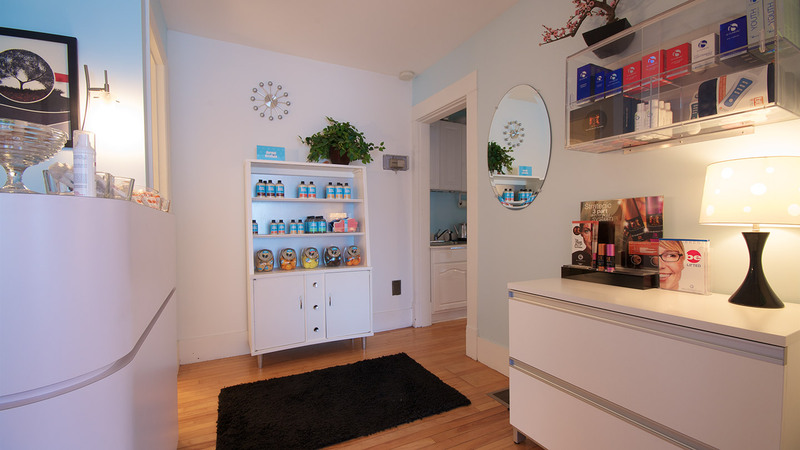 I love your salon – I feel like it’s a peaceful, sterile, and serene environment. I love your business ethics on products – which I’m loving by the way. And your price point is something that I feel I can incorporate regularly into my budget vs. a special occasion or a treat. I would like to start coming every 6 weeks …As far as my skin goes, what a difference!! It far exceeded my expectations for a one time treatment. Fourteen months ago I developed acne. This was very traumatic for me because I had NEVER before had acne or any issues with my skin. I tried several different acne products yet I couldn’t get my skin to clear up. I was completely frustrated and decided to find a skin therapist to help me… Over the course of 4 months Shelly cleared my acne. She called me after every treatment to see how my skin was responding and would change my product use depending on my analysis of my skin… The personal attention you get at Skin Solutions is unparalleled. It is very difficult to have acne however knowing that someone understood how I was feeling and took a personal interest in clearing my skin made the process so much easier. It took time (weekly treatments for 2 months) and PATIENCE but now my skin looks great! I still get the occasional breakout but it is much easier to treat now. Shelly has given me the knowledge to keep my skin healthy. I am now doing microcurrent treatments which I love! It’s been making the fine lines around my eyes much less visible! I live in Massachusetts and drive 3 ½ hours each way to see Shelly every 6 weeks because her expertise and personal attention provide results that I can’t find anywhere else! 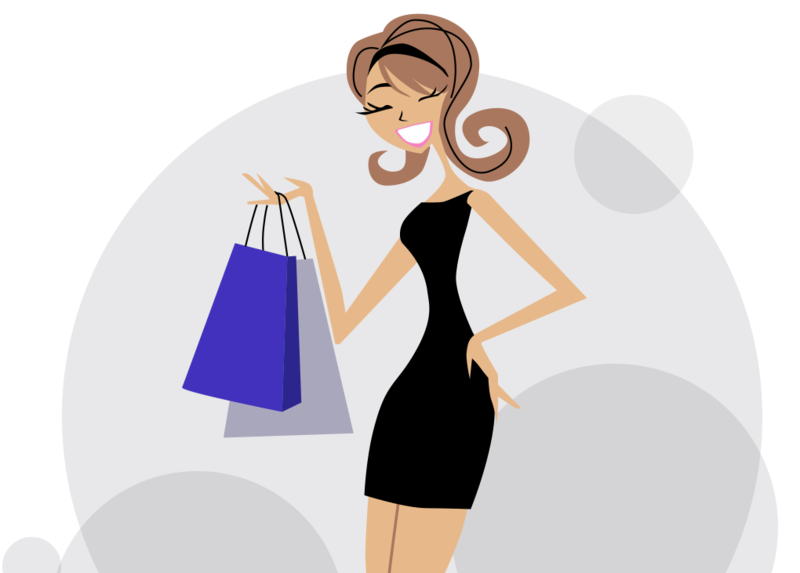 Would you like to receive information about upcoming sales in your inbox? © 2019 Skin Solutions Skin Care Center.